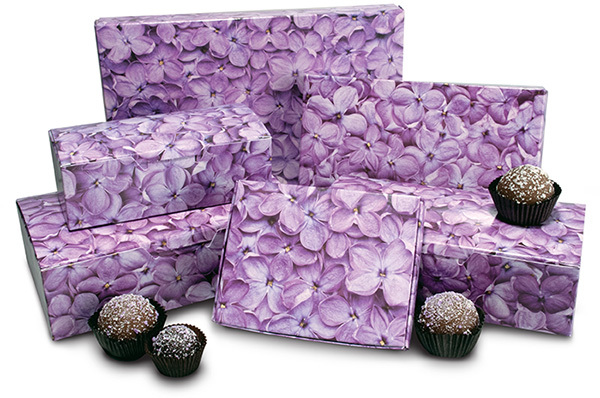 - These traditional candy boxes feature beautiful Lilac Design. - Available Blank, Custom PMS printed or Hot Stamp Imprint. - Quick 7-11 business day production from proof approval for imprinting.